Jean-Jacques Baronnat operates one of the last family businesses still independent of Beaujolais, a company founded by his grandfather. It offers a " Moulin a Vent " vinified traditionally by semi-carbonic maceration. The dress shows purple hues, the nose, intense and warm, situated between the cherry and violet. On the palate ripe, silky tannins and creamy be coated with fruity aromas. This wine of great finesse has not gone far from the favorite. In two years, it will do wonders on a prime rib wine merchant. 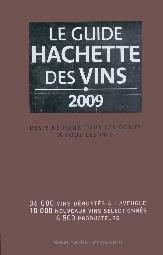 With the years, the Hachette guide of the wines became the reference as the Michelin guide remains the bible of the restaurants. The reasons are multiple: * absence of publicity: the guide does not comprise any publicity coming from the world of the wine. The only inserts relate to companies which revolve around the wine but which does not produce any - for example accessories like the cellars with wine, wine carafes, bottles opener... -. The method of selection of the guide is simple, the producers send the wines which they wish to present at the selection of the guide; producers, wine specialists, wine waiters, restorers... are solicited for the tasting which is carried out of course "with the blind man" and the results are known only at the time of the publication of the guide in September. 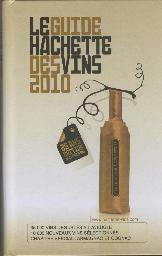 With the wine guide 2006, it is the twentieth year of presence without interruption of our wines in this guide reference. In 20 years, the wine guide quoted more than 60 wines selected by our care: that is to say more than three wines each year on average. 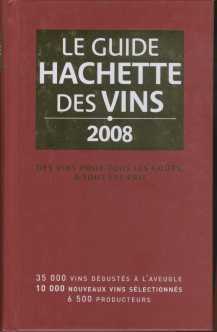 1992: our Beaujolais-Villages win a BLOW OF HEART which is the best reward for this guide. From 1987 to 1990, we presented only wines from the beaujolais area and they quoted 9 wines from Jean Baronnat. Beaujolais-villages, Brouilly and juliénas twice and Chiroubles, Saint-Amour and Morgon. In 1991, we presented for the first time wines from Macon area and from Rhone valley area and the guide quoted our Beaujolais-Villages, Mâcon-Villages and Cotes-du-Rhone Villages.